The Black United Fund of Illinois (BUFI) is a non-profit, organization and a social movement designed to improve the quality of life for African Americans through reliance on self-help at the local community level. At the root of this philosophy is the statewide goal of developing systematic mechanisms to rally resources for the African American community. Rose Daylie has been an active board member of BUFI throughout the years. Her support of the organizations goals and vision has helped to strengthen, and promote it’s agenda’s in positive ways. She continues to embrace those goals. 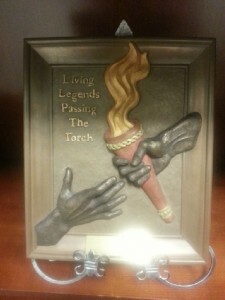 In October 2011, Rose was honored with the “Life Time Achievement Award“during the annual “Living Legends/Passing the Torch” Awards Ceremony. This ceremony is an annual event which has taken place since September 29, 2001, and is an extension of BUFI’s mission of self-help, mutual aid and volunteerism. It recognizes the the importance of mentoring in our community as the way we build and maintain a knowledge base and assure the continuity of our institutions. Rose proudly passed her Living Legend Torch to her most valued possessions, her three loving daughters, Yvonne Daylie, Sonya Harris and Karen Shannon. Rose holds admirable memories of her beloved son Clinton E. Daylie, no longer with us, who was very active in the community. 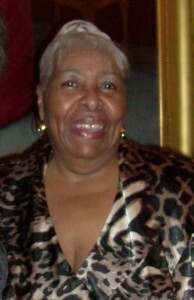 Rosetta Daylie was born in 1939 at Cook County Hospital in Chicago. 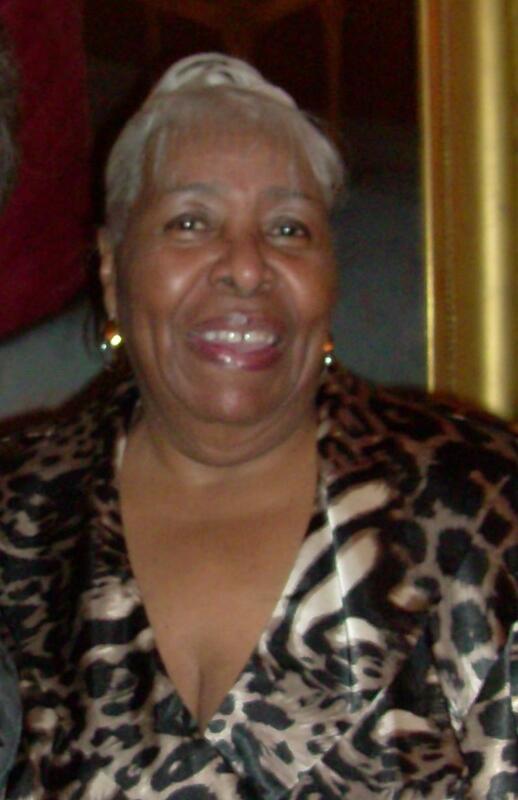 She attended St. George Elementary School, St. Dominic’s High School and the Loop Junior College (now known as the Harold Washington College). She is the mother of four children and the doting grandmother of six. Mrs. Daylie retired from the American Federation of State, County and Municipal Employees (AFSCME) Council 31 in July of 2005 after over 20 years of service. She was an associate director of AFSCME Council 31, which represents more than 75,000 active members and retirees in Illinois. Ms. Daylie oversaw all of the union’s activities on behalf of 8,000 City of Chicago employees. She was responsible for all aspects of labor-management relations with more than 15city agencies. She also supervised the handling of the grievance process which protects employees from unjust or discriminatory discipline or dismissal, and she worked with local unions to develop contract proposals and strategies for collective bargaining. Her record as a trade unionist is impressive. Beginning her career as a food service supervisor at a mental health center, she quickly rose through the ranks of AFSCME. Daylie was elected chief steward in 1975, then president of her local union in 1976. In 1979 she was elected president of AFSCME’s statewide organization and was re-elected twice. In 1995 she was appointed to serve a three-year term as panel member on AFSCME’ International Judicial Panel, a first for a woman in the union and a rare accomplishment for an African American. In fact, Rosetta Daylie has racked up a number of “firsts.” She became the first black woman elected to the executive board of the Chicago Federation of Labor (CFL) in 1987 and now serves as the 1st vice president of CFL. She is a respected member of the Coalition of Black Trade Unionist (CBTU) and was re-elected to a two-year term on the national executive board of the CBTU in May, 2010. She has been a member of the Coalition of Labor Union Women since 1982, and also had the honor of serving as a trade union observer for the first democratic South African election held April 26-28 1994. Mrs. Daylie’s community involvement is also impressive, including serving a two-year term on the late Mayor Harold Washington’s Mayor’s Advisory Council on Women; serving as a member of the board of directors for the Black United Fund of Illinois since 1985; serving as co-chair of the Chicago South Side Branch of the NAACP’s 46th annual Freedom Fund Dinner in June of 2000; and counted among the founding members of the Visionary Friends non-profit. 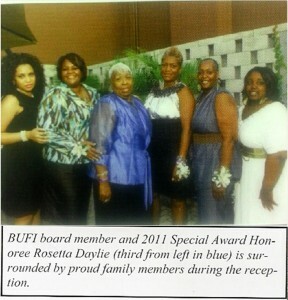 Mrs. Daylie has also been a member of Christ Universal Temple since 1967. Mrs. Daylie’s lengthy list of awards and recognition include: the AACP Jackie Vaughn Award in 2001; Operation PUSH Jackie Vaughn Award in July, 2000; the Addie L. Wyatt Labor Award in 1987; the City of Chicago’s Pride in Excellence Award in 1988; the James H. Kemp Jr. Award presented at the 1996 Freedom Fund Dinner; and being named the Chicago Federation of Labor’s Woman of the Year in 1990, and of course, the BUFI Living Legends/Passing the Torch award in 2011. She has been a premier role model for her three daughters; Yvonne Daylie, Sonya Harris, and Karen Shannon, to whom she passed her living legend torches. Her late son, Clinton Daylie, would certainly be very proud of her. In this millennium, it is our responsibility to preserve the legacy of achievement in the African Diaspora and to ensure that our children are equipped to maintain the benefits of the struggles of the 20th Century. We must take a personal interest in mentoring and grooming a new generation to take our places. We must not abandon old practices in order to do this but continue our growth by bridging this transition to greater glory. We must continue to strengthen our institutions and increase their reach through capacity building collaborative. We must continue to develop educational programs that challenge students to be their best, teachers to provide nurturing environments for learning and schools to invest in the tools necessary for the highest level of instruction. We must continue to encourage parents to be positive role models and to participate in the monitoring of activities that influence our children’s lives. We must continue to patronize our local businesses and remind them of their obligation to practice community reinvestment for the economic growth and health of our neighborhoods. We must continue to support our visual, performing and literary artists who are so instrumental in communicating our history and culture. We must continue to lobby our elected officials for our piece of the pie and to increase representation of our specific cause. We must continue to rally for an enhanced level of health and human services and to demand social justice. We must continue to inspire benevolence among ourselves in order to enable the less fortunate, motivate our youth, revitalize our communities and strengthen our families by using our own resources for the empowerment of our people. We must preserve our legacy of giving but here is where we must be more creative and confident that we can solve our own problems. We must make sure that our resources are channelled into ventures that will create and maintain wealth among our people; create and maintain businesses that bring jobs to our neighborhoods; create and maintain technologically advanced programs that utilize our natural instincts for invention. We have the power to build and maintain our own products and prosperity and lift and sustain, as a unified community, all Black people in this new millennium.